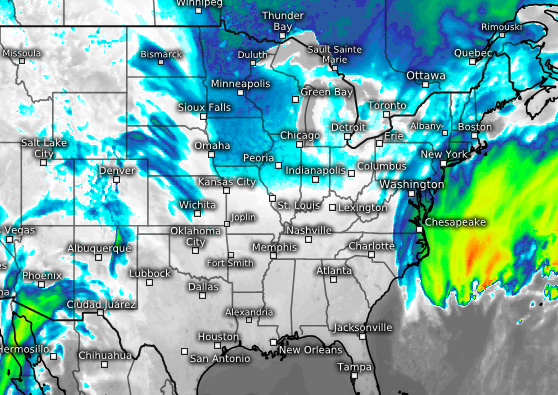 A developing coastal storm has the potential to deliver snow and high winds to the Shore area later this week, though its impacts will largely depend on whether the storm comes close enough to land. “Strong winds are possible Thursday, however the actual impacts including snowfall amounts will be highly dependent on the track of the offshore intensifying storm,” the watch statement said. Right now, forecasters are calling for 4-6 inches of snow, though that could increase if the storm moves closer to the coast. Snow could be heavy, and winds could be strong, resulting in drifting and blowing snow. The snow is expected to begin mainly after 10 p.m. Wednesday night, according to the National Weather Service office in Mount Holly. The overnight low between Wednesday and Thursday will be 25 degrees, with Thursday’s high forecast to be 29 degrees.